Kenguru Pro new equipment line "Functional Rack"
Kenguru Pro is presenting a new product line "Functional Rack". As you already understood from the name, it's an equipment line for functional training. 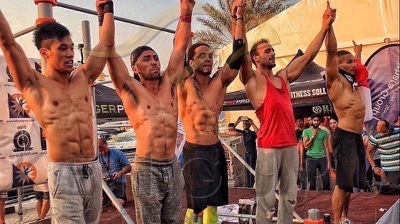 On October 21 and 22 2016, Dubai, UAE, hosted a Kenguru Pro World Cup Stage, which brought together 25 of the top level street workout freestyle athletes from 13 countries. 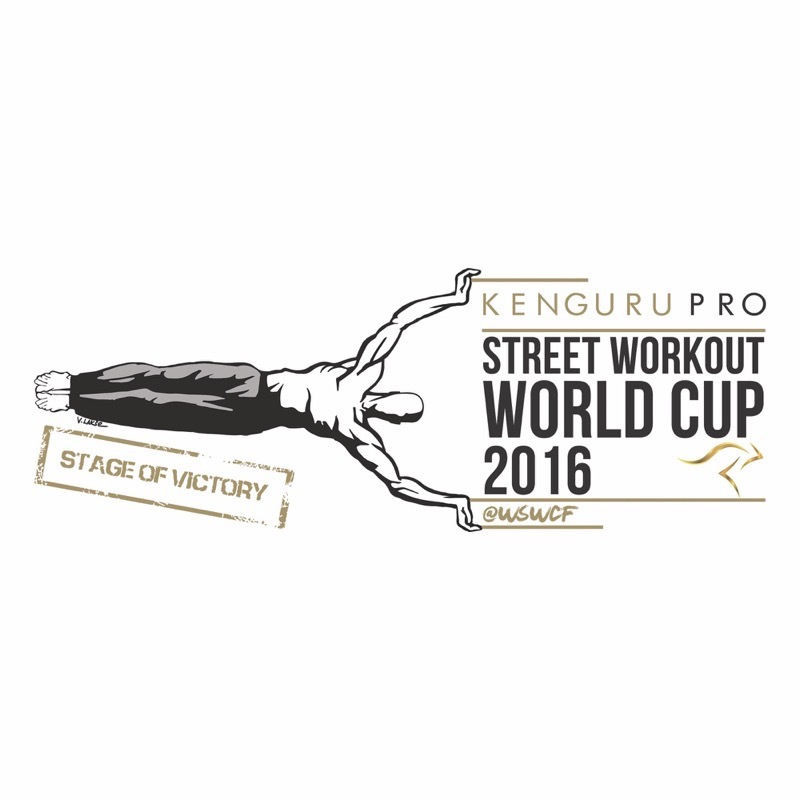 On October 29 2016, Madrid, Spain, hosted a Kenguru Pro Street Workout World Cup Stage organized by the World Street Workout and Calisthenics Federation in collaboration with the Spanish Street Workout Federation “FESWC”. 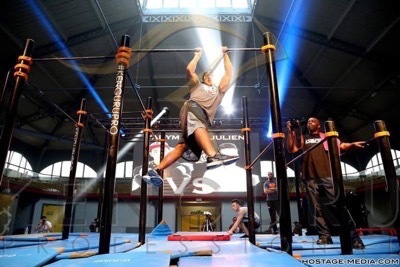 On October 15 2016, Paris, France, hosted the traditional street workout event Pull and Push, which brings together street workout strength and freestyle category athletes from all over the world. 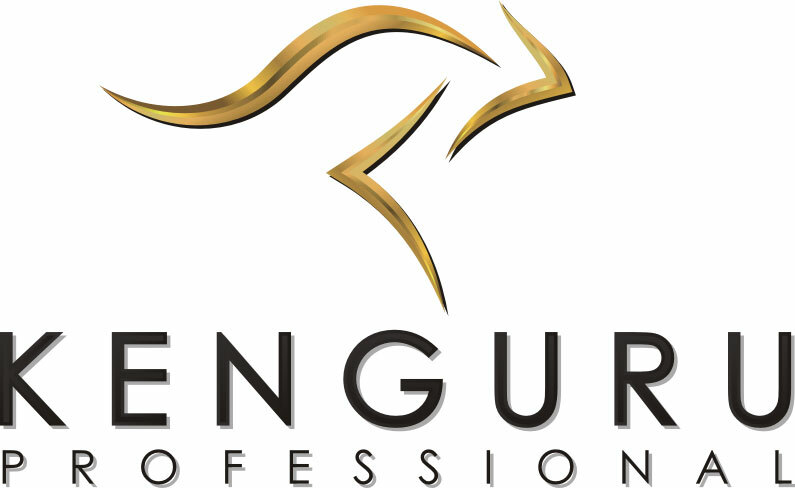 For the second year Pull and Push event takes place on Kenguru Pro equipment, highly valued by organizers and participants as well. The first place in freestyle category was taken by Daniels Laizans from Latvia. 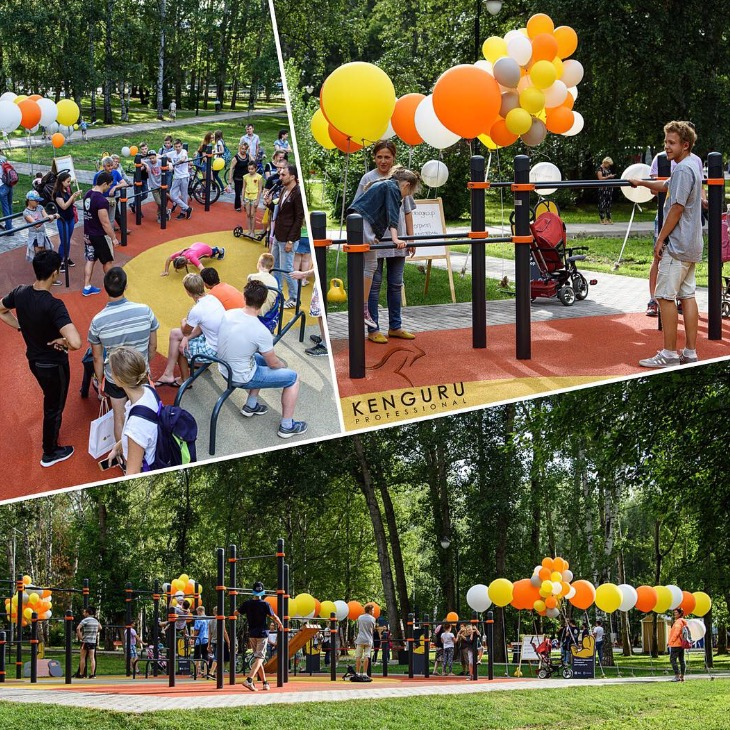 Under the project "Horizontal Bar in Every Yard" of the program "Healthy Spirit"
The grand opening of new KENGURU.PRO street workout grounds with an area of 520 m2 took place under the project "Horizontal Bar in Every Yard" of the program "Healthy Spirit", with the participation of Oleg Leonidovich Chemezov, a Councilor of the Tyumen Regional Duma, and Artemieva Marina Nikolaevna, the head of the Kalinin district of the city of Tyumen. On July 6 2016, the grand opening of the programme “Healthy Spirit” took place in Togliatti, Russia. 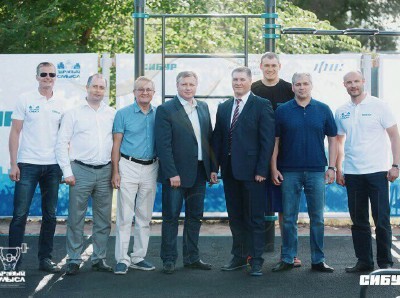 During the opening ceremony, a presentation was given by the partner of the project “Horizontal Bar in Every House” company Kenguru.pro of the new workout grounds covering 160 m2, where to prepare for the All-Federation physical culture training programme RLD; also, the first mass training was held under the project “General Training”. In total, the event was attended by over 200 people, students of sports schools and ordinary residents of Togliatti, who learned about the event on the Internet. During the summer 25 mass trainings will be held in Togliatti. 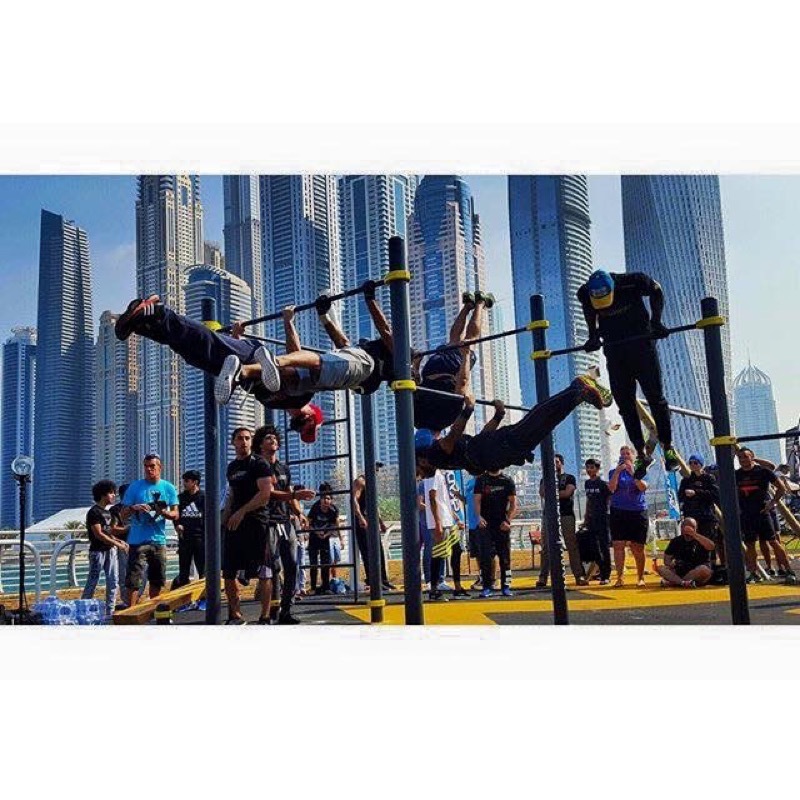 On 23rd July, the territory of one of the largest KENGURU.PRO street workout grounds hosted the annual Street Workout World Championship 2016, organized by MOSCOMSPORT jointly with the World Street Workout and Calisthenics Federation. 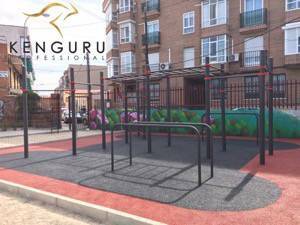 Spain city Onda is now also known as the owner of the huge Kenguru Pro park - one of the biggest street workout parks in Europe. More and more gyms around the world are opening their indoor calisthenics and street workout sections. 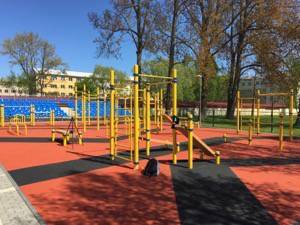 One of the largest street workout parks was built in Rostov-on-Don, Russia. On middle of March legendary street workout athlete from New York, USA Mr. Hannibal For King visited sports exhibition in France and had a chance to try a new KENGURU.PRO Indoor setup. 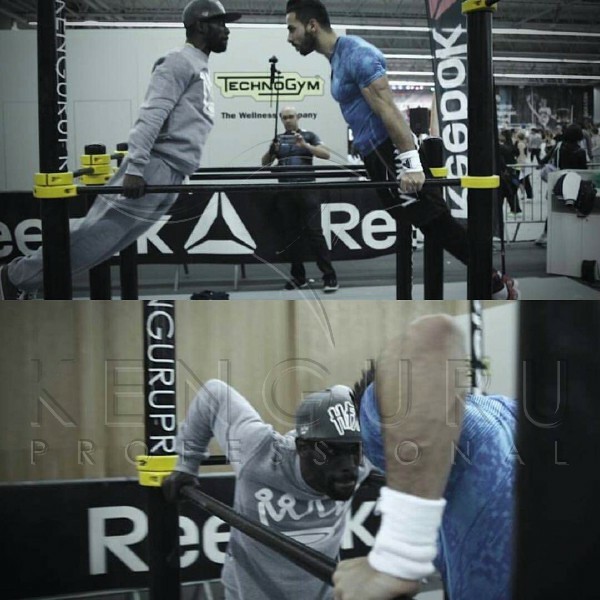 KENGURU.PRO setup was used on Reebok booth and attracted many people willing to workout with legend. This new KENGURU.PRO Indoor setup is perfect for gyms. It's very practical, stable, durable and good looking. Everything you may need for a great bodyweight workout. 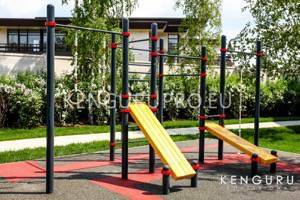 New KENGURU.PRO outdoor workout park built for company DECATHLON in France. 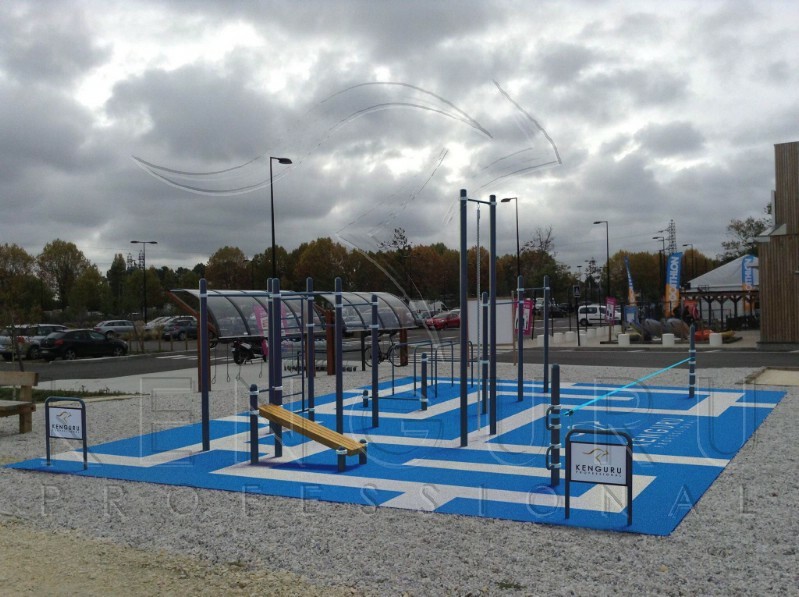 This park is a test park on the territory of DECATHLON super market and if this park will be interested to customers, KENGURU.PRO parks will be built in the territory of many DECATHLON shops in France. We are very thankful to our partners company Sport Parc for making this project happen. 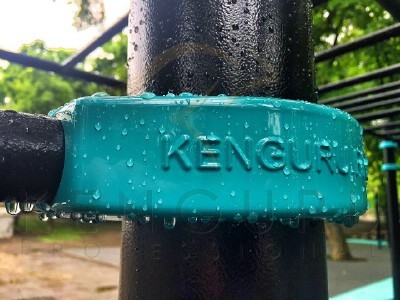 KENGURU.PRO is offering a new ECO solution for your park. It's EKO covering of bark threes: pine and oak. It's Non-toxic and ecologically clean. It can be a perfect solution for a private house or a green park. This new ECO solution is also more affordable than rubber surface. If you think green, this solution is for you. Spanish street workout team "Olympus Workout" are the finalists of "Spanish Got Talent" TV show, performing an interesting street workout show on the stage. 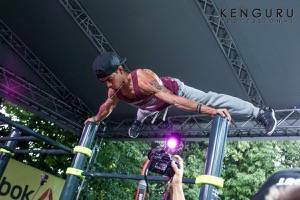 There are no limits to the possible locations of Kenguru Pro calisthenics equipment parks. 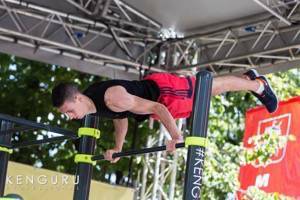 Since 2012, company Kenguru Pro has been an official partner of World Street Workout and Calisthenics Federation, providing support and equipment for all main events organised by the Federation. 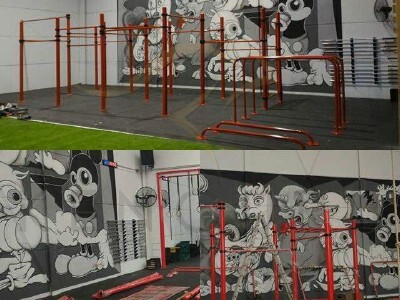 Disney Land in France now has one more place to play, workout and have a great time in a very useful sense. 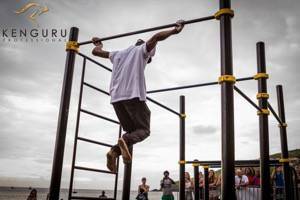 A new Kenguru Pro street workout park was opened in the famous SkyDive Dubai area. 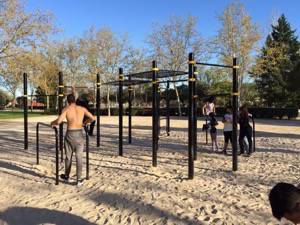 Since 2012 KENGURU PRO is the world's leading outdoor / street workout gym. 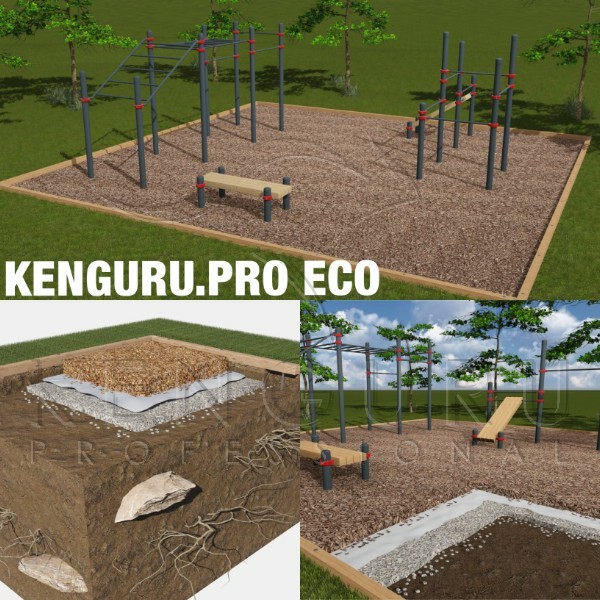 KENGURU PRO workout sports grounds are designed in respect of global experience and suggestions of professional athletes. Our quality, usability and design is best in market and that is confirmed by customers. More than 300 fully equipped KENGURU PRO parks have been build all over the world. 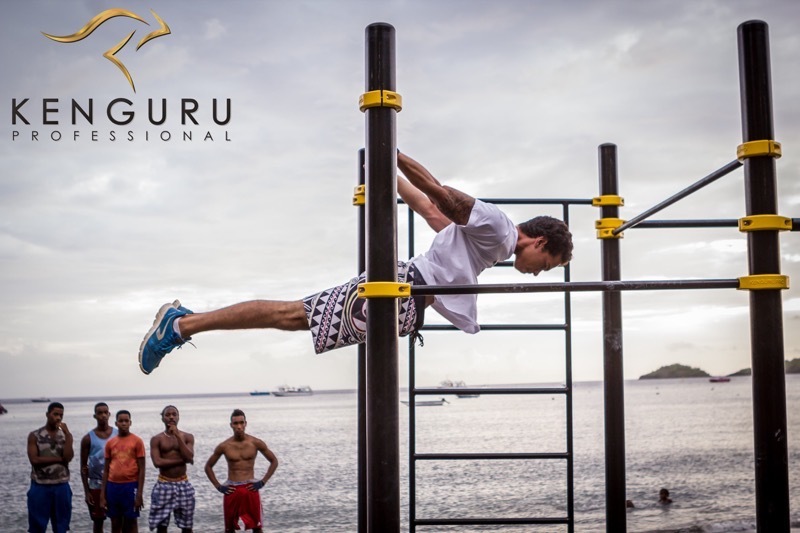 KENGURU PRO also deals with outdoor sports and healthy lifestyle promotion worldwide, by supporting spots events like Street Workout World Cup and World Championship and global social projects like World Pull-Up Day. So many wheelchair people around the world and a lot of them want to do sports and different activities. 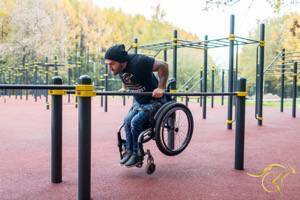 People with disabilities want to live, want to do sports and of course at any place and at any time. And now it is possible. 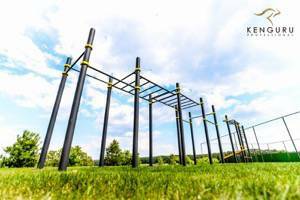 There are no limits on the possible location of Kenguru Pro calisthenics equipment parks. 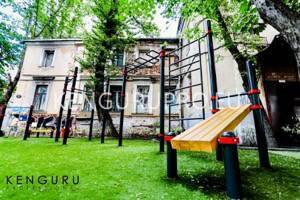 Kenguru.Pro has built the biggest outdoor calisthenics equipment in Baltic. You live very far from city, from sports stadiums, parks and you have wish to workout and don’t think about far road and payment and you dream about training in your private house? One bar, two bars, three bars... How big Kenguru.Pro park do you want? Do you want a big park? Do you want a small park? Do you want all the equipments? 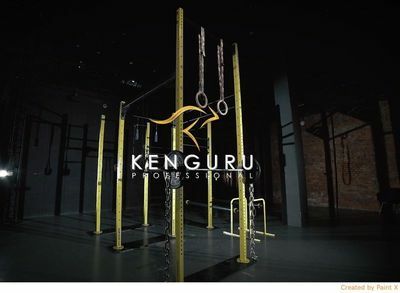 Maybe it will be enough with simple set (pull-up bar, dip-bars and human flag wall and bench for press) or if your city is full of street athletes and you want more equipments with different sizes and looks, Kenguru.Pro provide you with special sets, which you can just choose. Kenguru.Pro is for all year seasons, come to Kenguru.Pro park at any time and your training is for free. 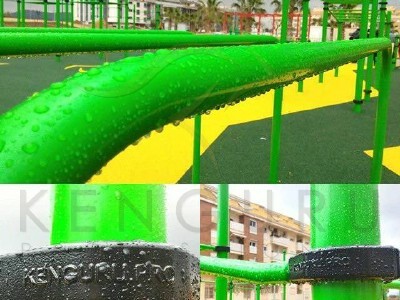 Kenguru.Pro material is very durable and for any weather. Bars have special zinc coating, which makes bars more durable than simple metall. Also this coating is very comfortable for training, because your grip is stable. For some years we have been changing our style, fashion and colors, but we have not ever changed our originality! 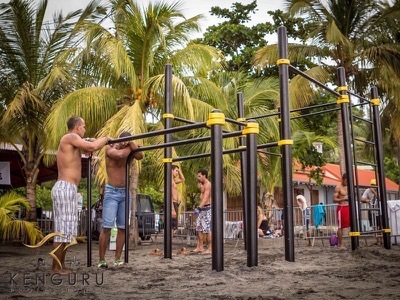 Best Street Workout athletes testing Kenguru Pro street workout equipment. 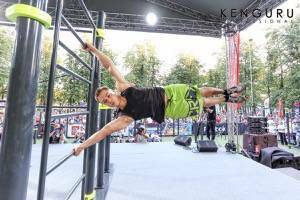 During the Street Workout World Championship 2014 that was organized in Moscow, Russia, best street workout athletes of the world were testing Kenguru Pro street workout park equipment. 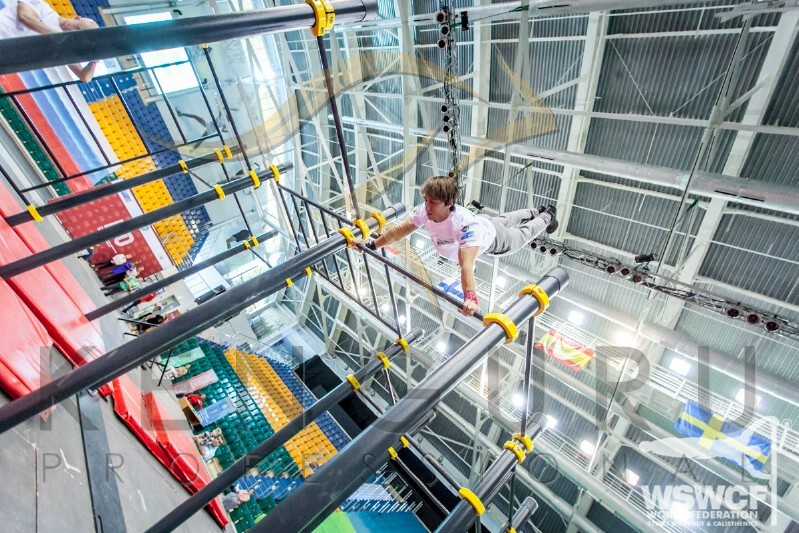 Street workout World Championship for ladies was organized on Kenguru Pro equipment. 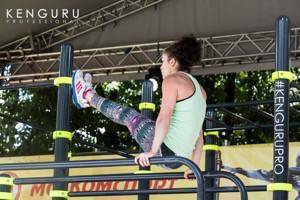 First ever Street Workout World Championship for ladies was organized in Amsterdam, Netherlands on Kenguru Pro outdoor fitness equipment.